Wildlife authorities in South Africa say that more than three dozen white-backed vultures have been poisoned and most subsequently decapitated. The mass killing is thought to have been motivated by the trade in traditional African medicine, practitioners of which believe that smoking vulture brains makes one clairvoyant. "The main drivers of demand are for betting and gambling, for improving business success, and intelligence in school children," Myles Mander, a resource economist, tells IOL News. The trade in these animal parts has devastated local wildlife, prompting species like white-backed vultures to be listed as an endangered species. In the last 18 months alone, at least 2 thousand of the birds have been similarly killed throughout the region. In West Africa, some vulture populations have declined by 90 percent, raising fears that they will go extinct in a little over a decade. "We feel that this should be treated with the same degree of concern and at the same level of priority as the threat to rhino and elephant," says Andre Botha, chairman of the International Union for the Conservation of Nature's Vulture Specialist Group. 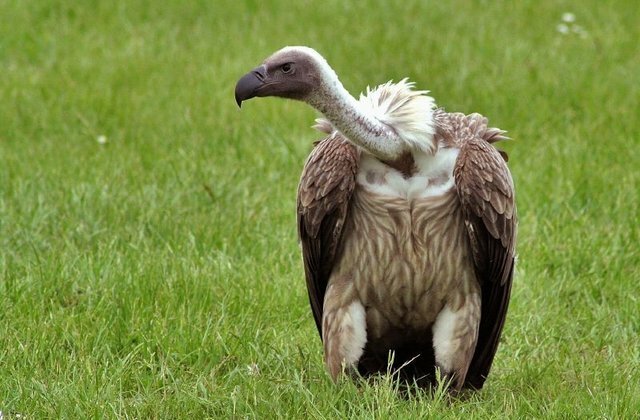 BirdLife International has proposed an educational and awareness campaign aimed at reducing the use of vulture parts as traditional medicine.